Mixing is the most critical stage for the cement production as all ingredients need to be mixed homogeneously. In order to ensure this, mixing is realized rotating the material and making them upside down in a basin constructed in mixers. Our products range varies from 3 sectioned -45m³, to 3 sectioned -60m³, 4 sectioned - 80m³, 4 sectioned -120m³ and 4 sectioned - 160m³. 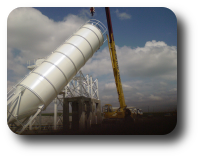 Material Bunker can also be manufactured in different capacity and sections as per the requirement of customer. Best quality material such as reducer, belts, rolls, engine, drum and load cell is used for the bunkers. 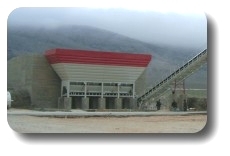 In a concrete plant, the material is transferred from aggregate bunker to mixer or preloading bunker, also called saving bunker prior to mixer via material feeding belt, also called conveyor. If any lack of space, bucked conveying is used instead of feeding belt. 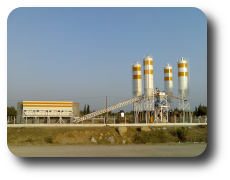 Silos utilized at a concrete plant vary from in the capacity of 50-75-100-120 tones and in the numbers from one to 6 silos. 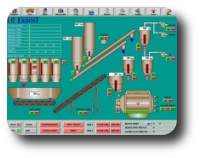 PC controlled automation systems are used for running and properly operating our plants.All the material used for the system are best products such as Siemens, telemecanique etc. And the software we utilize is user friendly and easy to use one.